The creator of BitLock has a vision of networking and sharable objects. This vision speaks directly to today’s bike culture on a cool, down-to-earth, and yet contemporary-techno dimension. The particular sharable objects are a bike and a BitLock. A BitLock is a bike lock which is easily controlled by a smartphone. Urban bike culture has been waiting for something like this. BitLock makes bicycle networking simple and convenient. 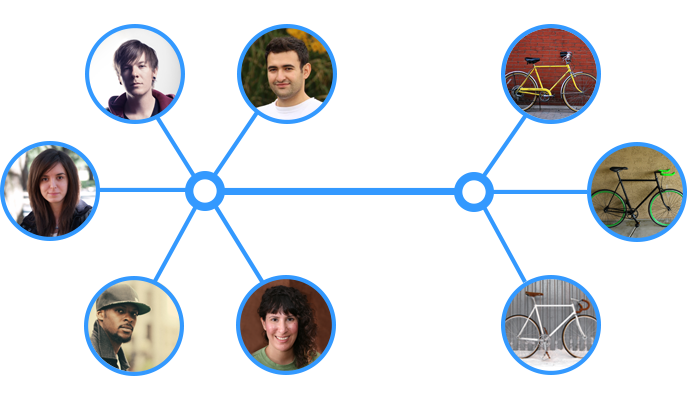 Offering up a shared bike to a friend, coworker, family member, or someone else in your community just got streamlined. Thanks to Mehrdad Majzoobi, BitLock’s creator and visionary, permissions to your bike can be granted remotely “on the fly.” Many Kickstarter projects appeal to me. However, this is my favorite to date. I have worked on many different projects throughout my life. Even though BitLock may seem like a simple project at first glance, I believe it is one with the most profound impact. I am fascinated about the impact of technology on society and human ecology, and how it can transform the way we live and interact with each other. BitLock senses your proximity. Just stroll up to the bike and press the bottom to unlock the lock. You do not even have to use the phone. The lock knows who you are. That is, BitLock records your location using your phone’s GPS. No more rummaging for bike keys. No more forgetting where you parked. Your smartphone does it all. BitLock will also map your route, record how many miles you rode, record the C02 emissions you saved riding a bike, and show much more regarding your journey. The BitLock App makes a private or public profile for you, allowing you to create an elaborate bike-sharing practice with multiple people. You can grant or take away access instantly at any time. Adding and removing people (to share with) is easily done with the BitLock App. You quickly share access location, time of use, and drop-off location — all this simply using the smartphone app. BitLock is secure — it uses encryption just like online banking sites use. It is weatherproof and comparable to the best locks on the market with heat-treated steel. The advanced lithium-ion battery has a 5-year lifespan. Head on over to the Kickstarter page for much, much more info. Check out inventor Mehrdad Majzoobi’s Mesh Motion, Inc Kickstarter profile. Or check out the actual BitLock website.